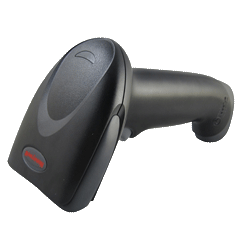 Honeywell's Hyperion 1300g handheld scanner linear-imaging barcode scanner features an ideal balance of performance, best-in-class durability and ergonomics to provide years of hassle-free scanning, especially in scan-intensive or light industrial applications. With no moving parts to wear out, the Hyperion 1300g is one of the toughest general duty scanners on the market. The Hyperion 1300g is the ideal choice for customers who value aggressive scan performance and durability in a general duty handheld linear scanner.